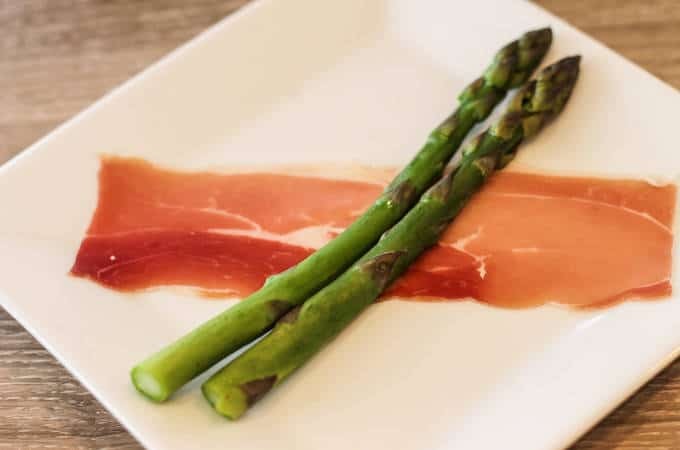 A perfectly simple, healthy recipe, for low-carb prosciutto wrapped asparagus. 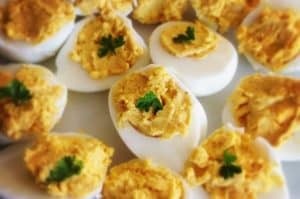 It is the perfect dish to entertain guests this holiday season. 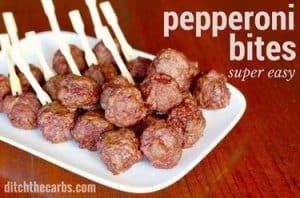 Scroll below to see how this low-carb recipe can be made with only 5 ingredients. 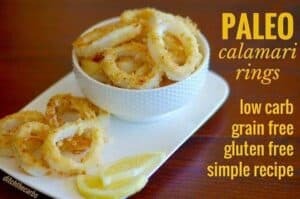 Now who doesn’t love an easy and impressive recipe? Especially an impressive healthy recipe over the holiday season? This dish will even please the most ardent carb-lover! No one will notice it is grain free, gluten free, and low-carb. 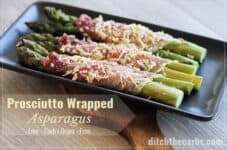 Low-carb prosciutto wrapped asparagus can be cooked in the oven or even on the barbecue for summer. Serve it as an appetiser, side dish, a light lunch or finger food. A full platter would look beautiful to take to friends. And for a luxurious breakfast, dip in soft boiled eggs instead of toasted soldiers. 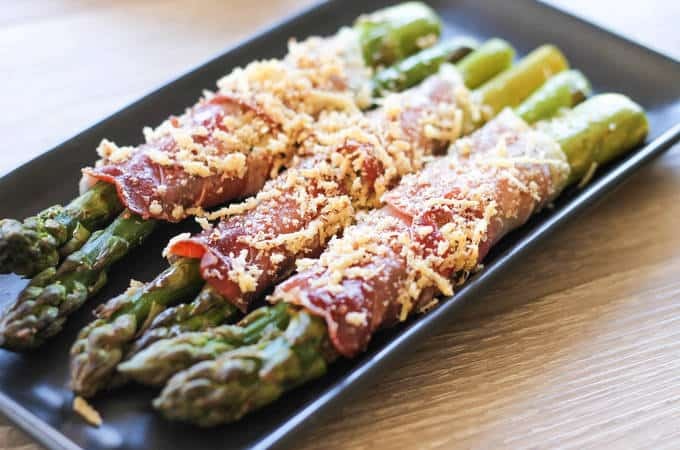 Many prosciutto wrapped asparagus recipes are difficult because you need to get the balance right between crisping the prosciutto and not overcooking the asparagus. 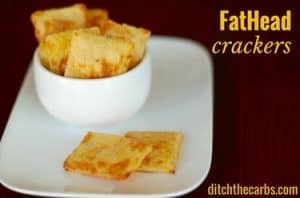 This simple recipe avoids any tricky problems by baking it under a cheese and ground almond mix. Any cheese will be suitable as long as it has a strong, yet gentle flavour. After preparing the asparagus, partly cook until soft, but a little crunch remains in the centre. Place the asparagus on the prosciutto slice. Mix the cheese and almond flour/meal, ready to sprinkle over the asparagus. With the parmesan and almond mix inside, roll up and place in a baking dish. Sprinkle the remaining cheese mix over the top, bake as per recipe. These can be baked OR cooked on the BBQ in a baking dish covered with foil. This is the easy step AND can be done in advance – they can be prepared, ready to cook once guests arrive OR cook them before guests arrive and haver a platter ready to go. 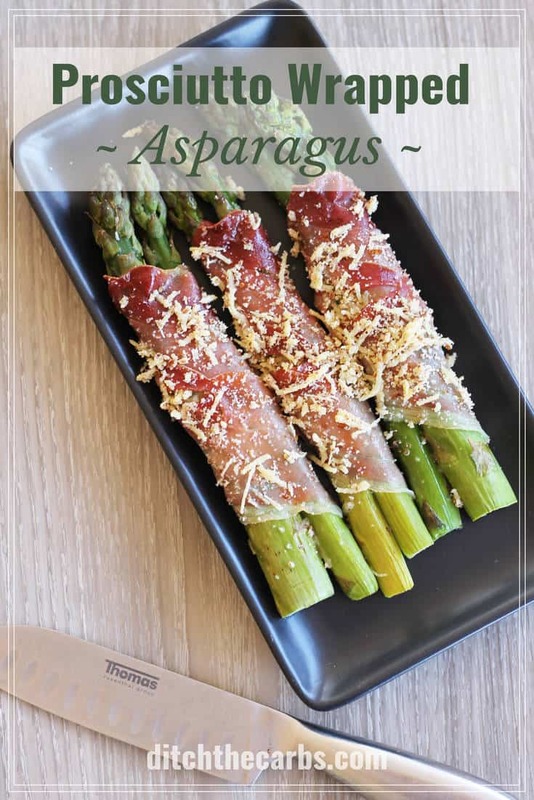 Low-carb prosciutto wrapped asparagus - made with 5 ingredients and 4 easy steps. It can be cooked in the oven or on the bbq. 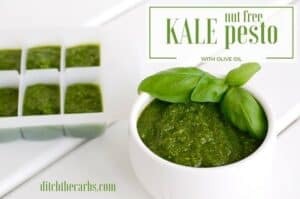 Perfect healthy recipe for entertaining over the holiday season. 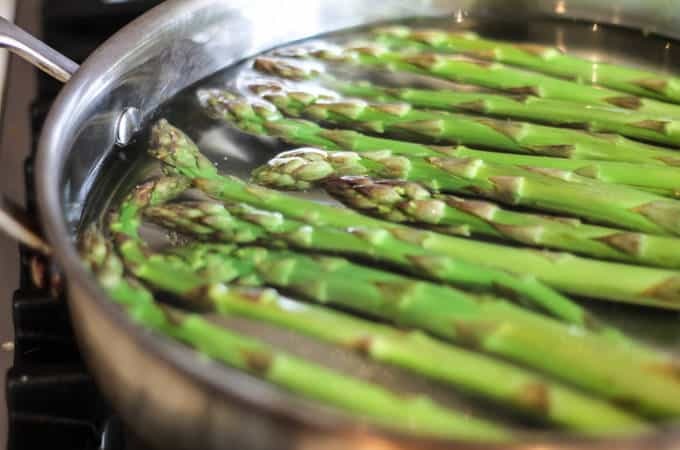 Remove the bottom inch from the asparagus spears then place into a large saucepan. Add enough boiling water to just cover the asparagus, bring to the boil for 2 minutes. You want the asparagus to remain slightly crunchy, but not raw, in the middle. Remove from the heat and drain. 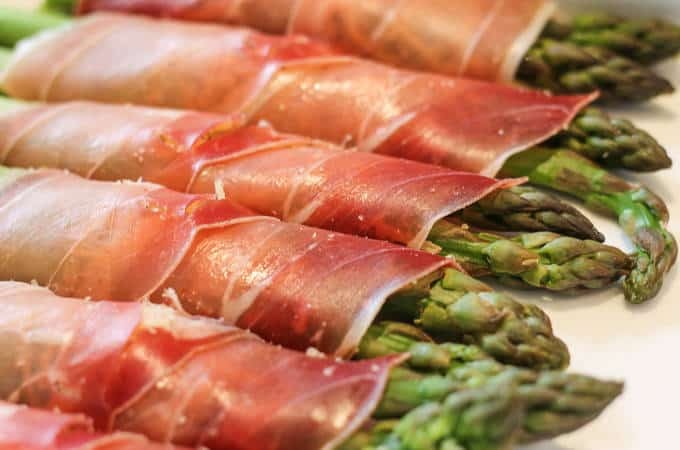 Place each prosciutto slice on a chopping board and place 2 cooked asparagus spears diagonally on top. Mix the parmesan and almond meal/flour in a small cup. Sprinkle a little of the parmesan/almond mixture across the asparagus, drizzle with a little cream, then roll up. Place each one in the baking dish. Sprinkle the remaining parmesan/almond mix over the top. Bake at 180C/350F for 15 minutes, or until golden and the cheese has melted. Lovely side dish that looks really festive, I plan on bringing this to a family Chrimas celebration. Served this time with the grain free Prk Schnitzel and mushrooms fried in ghee and heavy cream. So yummy. Hi Libby. I saw this pin and had to come and comment. 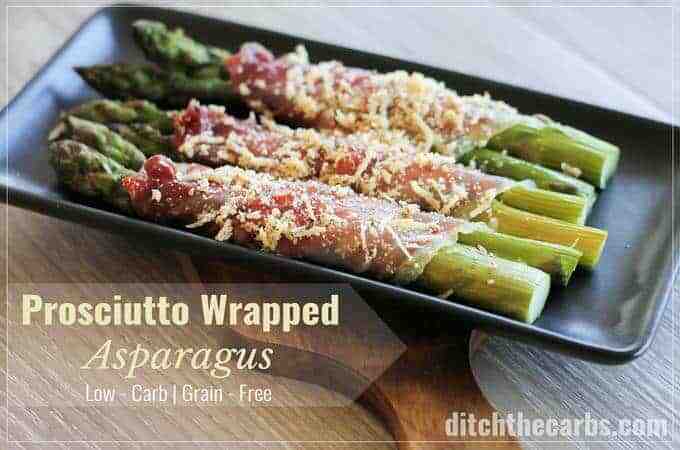 First, I love proscuitto wrapped asparagus and so do my kids. But what I really wanted to say is the the photo of the asparagus on the black plate is lovely. The back lighting kisses the asparagus in a very appealing way. It’s just beautiful. I’m so glad you loved these Kim. 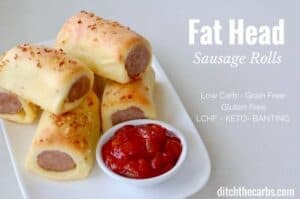 They truly are a special, easy low-carb. snack or meal, especially for visitors and guests. Nice and simple (with great photography – as always). Sometimes the easy recipes are the best, especially if you’re short on time or energy.